If you have ever thought of increasing your current business, or to break into a new industry, now is a great time to consider action. As the prediction that interest rates must rise in the near future, this means you must take action now to avoid missing the low rates of interest. 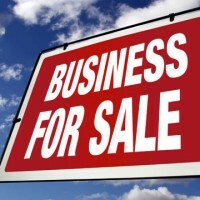 This is important if you have been considering selling your business too. Make sure that you are fully aware of the value of your business before you act. Get it professionally valued. This could give you the information and the push to consider the next stage of your life. It might seem that it is an odd time to buy, but with the promise of rising interest rates and the potential of buying, a profitable company could put you in a great position as the markets improve. There are many reasons why companies are for sale, from retirement to wanting a change, but sometimes it is because the business is failing. Unfortunately, these struggling companies are not the ones you should be looking to invest in, you could be buying into problems. The healthy companies that are doing well, the ones that are turning a profit each year are definitely worth the potential for investment. Look for those companies that are thriving and in a great area for a moving business. It might mean the start to a new adventure or leaving behind a company that you have built. However, taking control of the situation before the increase in interest rates can have an effect on the potential for finding funding, is important. It can affect the price of the sale, and the length of time before a buyer comes forward. Therefore, whether you are selling your business or looking to buy into a moving business, now is the time to act.